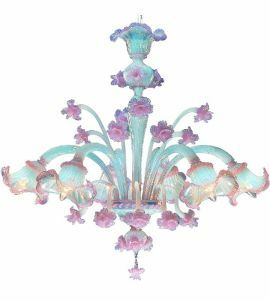 Our Classic Style Murano Glass Chandeliers are the result of leaves, flowers, cups that recall the classic Venetian style with colors in crystal and gold leaf. The result is a set of elements and meticulous work carried out by hand in our workshop. The finest Murano glass master craftsmen have put their creativity and effort in the creation of these wonderful, original pieces. 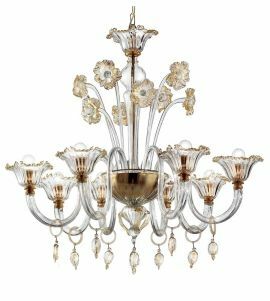 Besides our impressive collection of classic Glass Chandeliers you will also find a wide range of classic table lamps, floor lamps, wall lamps, sconces and suspended lighting for a classic style decor. This wonderful look is achieved thanks to the unique venetian style of glassmaking and our beautiful, high quality products made in Italy.